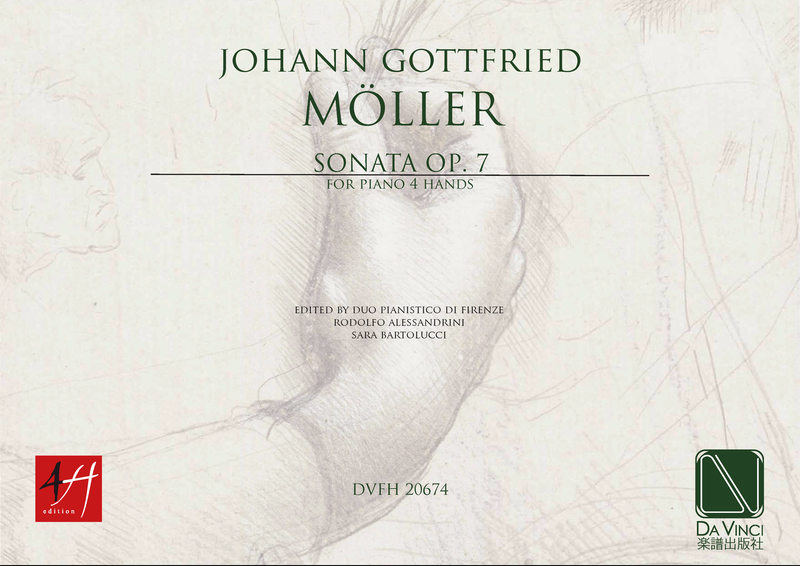 Johann Gottfried Moller up to a decade ago it was very difficult to trace the birth and death dates of Johann Gottfried Möller (1774-1833). There was no trace of him in the major encyclopaedias, as in discography, and to have some very limited trace of his existence, it was necessary to go to the libraries and consult the 19th-century German encyclopaedias, on which there were two to four lines of vague information about this composer, often mixed up among the many cases of homonymy. Thanks to these few clues (Fetis’ biographical work and Dictionary e Biographisch-bibliographisches Quellen Lexicon by Robert Eitner) we know that Möller was born in Ohrdruf, who was a Kittel’s pupil (he was in turn Bach’s pupil) studied in Leipzig, lived in Gotha, and was a well-known organist and composer in activity.